The Oyo State chapter of the ruling All Progressives Congress (APC) has suspended a son of the former governor of Oyo state, Otunba Christopher Adebayo Alao-Akala, Mr. Olamijuwonlo Alao-Akala. Olamijuwonlo Alao-Akala who is the Chairman of Ogbomoso North Local Government area of the state was elected as Chairman of the council in the local government election held on Saturday 12th May 2018. He contested under the platform of the ruling APC. Apart from the party, four councillors in Ogbomoso Local government area where Olamijuwonlo Alao-Akala is the chairman have also suspended him. His suspension was contained in a letter dated Friday February 15th 2019 and signed by four councillors from the council. 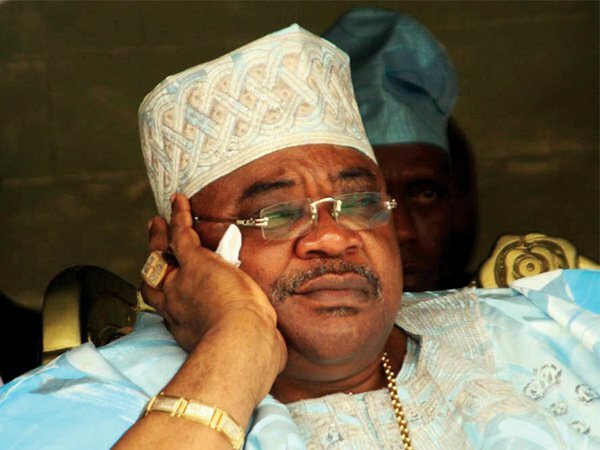 Publicity Secretary of APC in the state, Dr. Abdulazeez Olatunde, who confirmed the suspension of the son of the ex-governor on Tuesday, added that the party took the right decision by suspending Alao-Akala because he has dumped the APC to join ADP. Olatunde said, “Yes, we have suspended him. He crossed from the party and went to ADP. What do you want us to do? He added that the councillors also took the right decision by suspending Alao-Akala. He said, “Yes, they have to do that. Didn’t they impeach Ladoja? Was he not impeached? Was he not elected? The councillors are the ones like the house of Assembly in the state”. The councillors who signed the letter suspending Alao-Akala in the letter obtained by DAILY POST on Tuesday included; Hon. Adebowale Oladunmoni (Deputy Leader), Hon. Zakariyau Ayinde Kabiru, Hon. Adisa Raheem Kingsley and Hon. Busari Lamidi Adesina. The four councillors in the letter, a copy which were sent to the office of the Commissioner for Local Government Affairs, Mr. Bimbo Kolade said, “Take notice that we the undersigned councillors in Ogbomoso Local Government Area hereby passed a resolution suspending you from the office as the executive chairman of Ogbomoso North Local Government for your gross misconduct”.